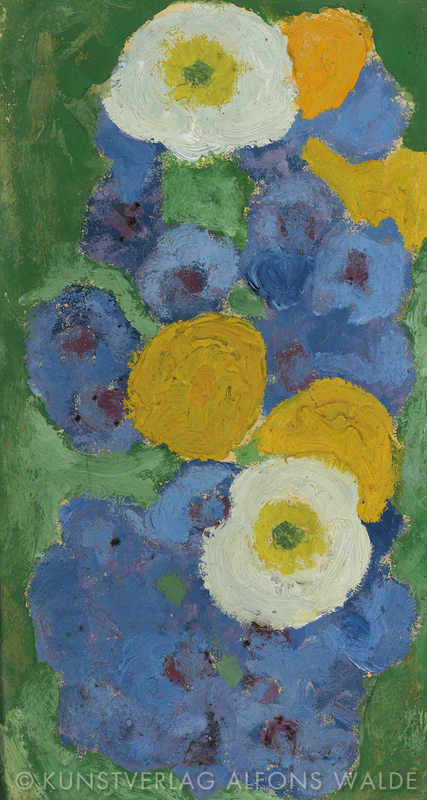 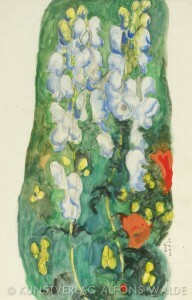 Walde’s early flower sketches show influences originating from his exposure to the Viennese art scene, particularly the Jugendstil (art nouveau) work of Gustav Klimt. Nevertheless, Walde’s unique style is never lost on the observer. 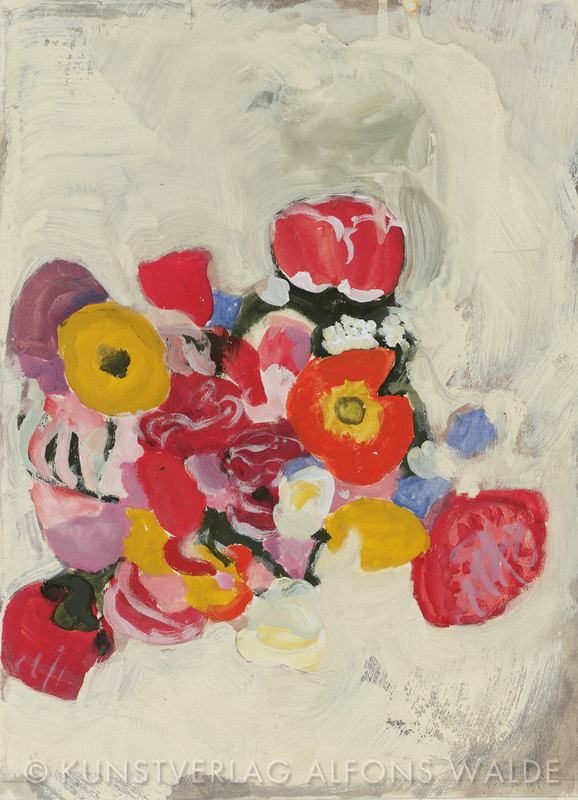 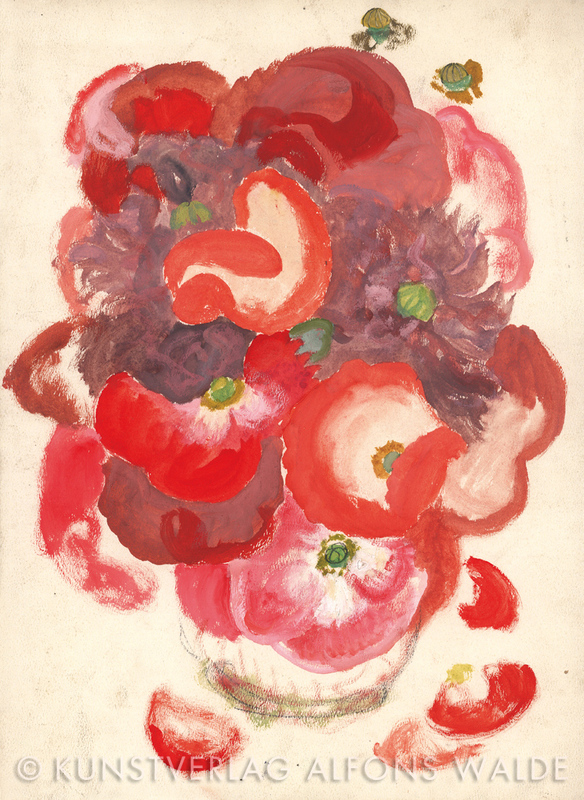 Primarily done in tempera, his flower paintings from this period seem a result of improvisation, at the same time displaying the artist’s finely tuned sensitivity for the expressive use of colors. Die Sonnenblumen (Sunflowers), a painting from Walde’s early period, deserves mention as a work of great finesse, and has often drawn comparison with Van Gogh’s Sunflowers. 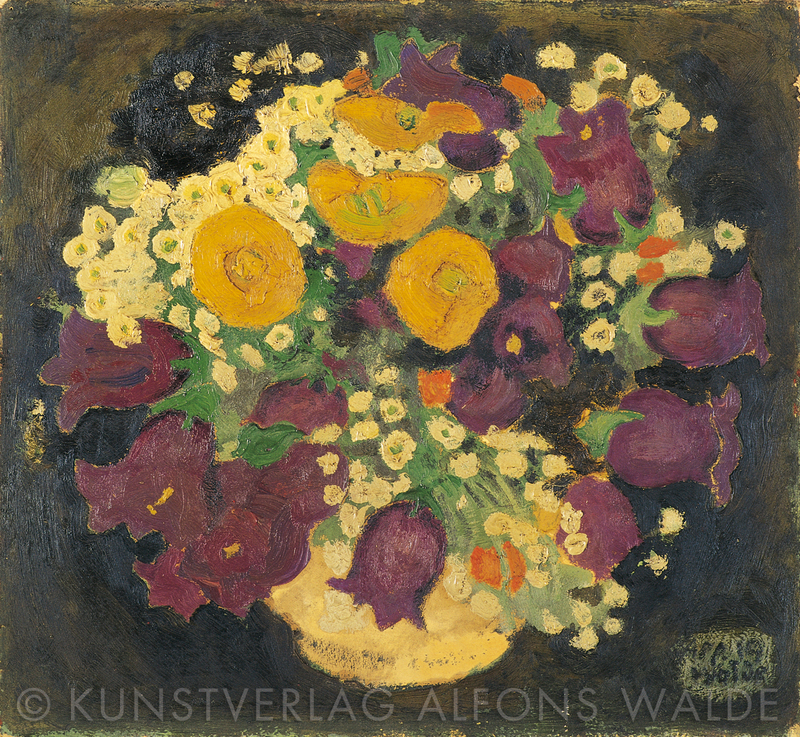 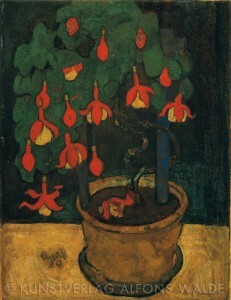 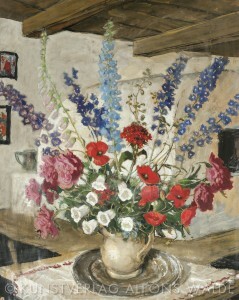 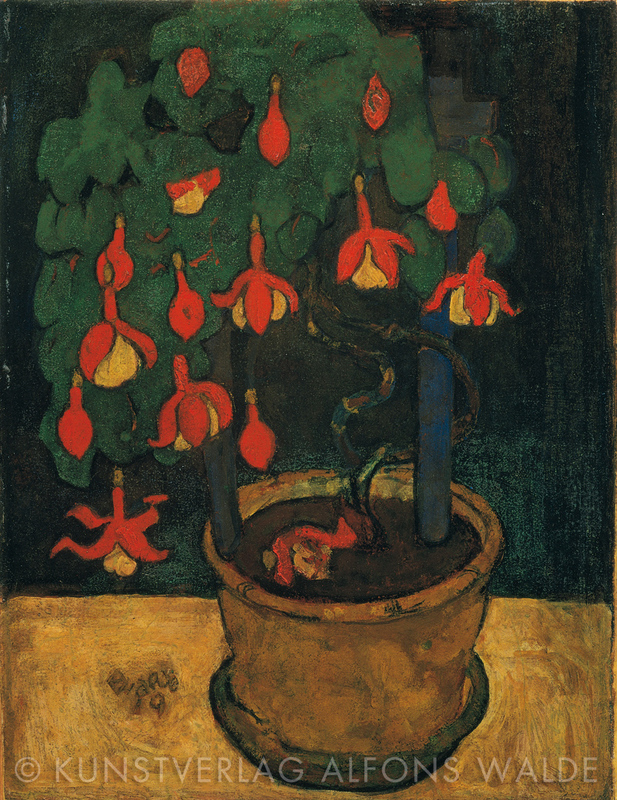 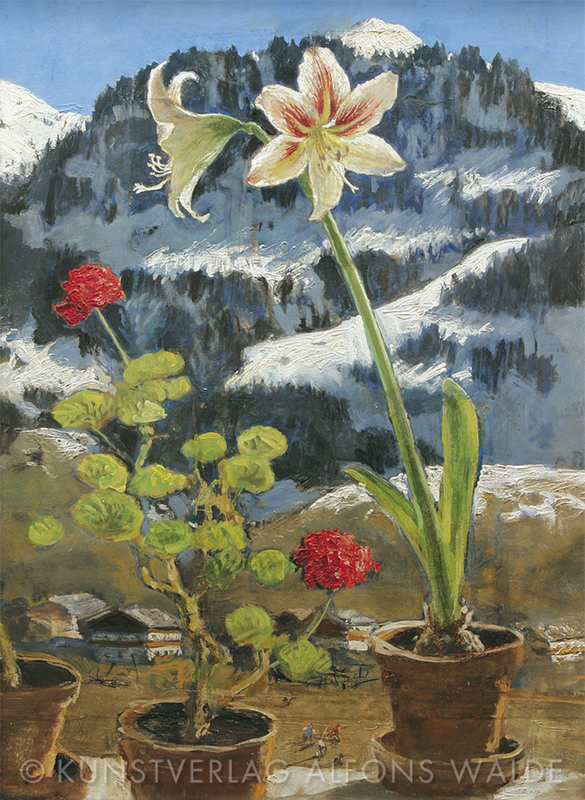 It was not untill his later years, that Walde created oilpaintings of flowers comparable in style to his mature work.